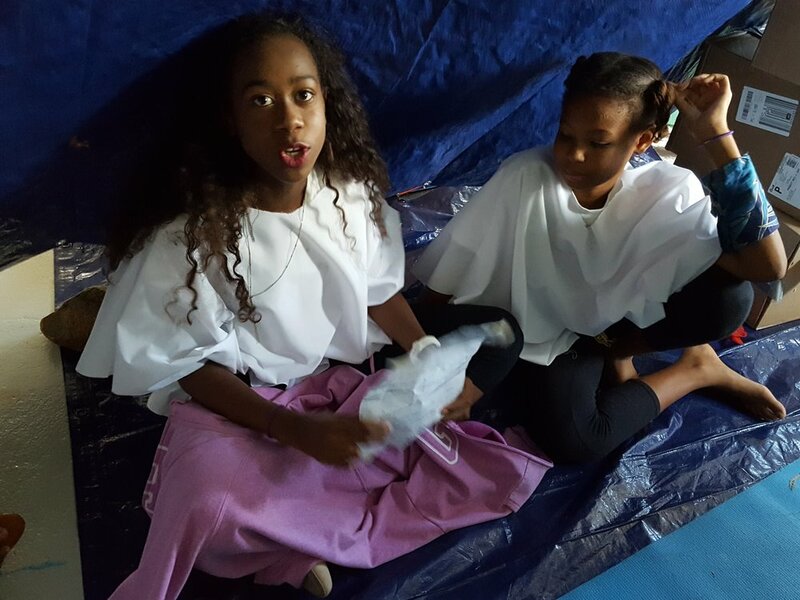 On Friday, March 2 Virgin Islands Montessori School and Peter Gruber International Academy (VIMSIA) students, faculty and parents were invited to tour the Upper Elementary Egyptian Museum! 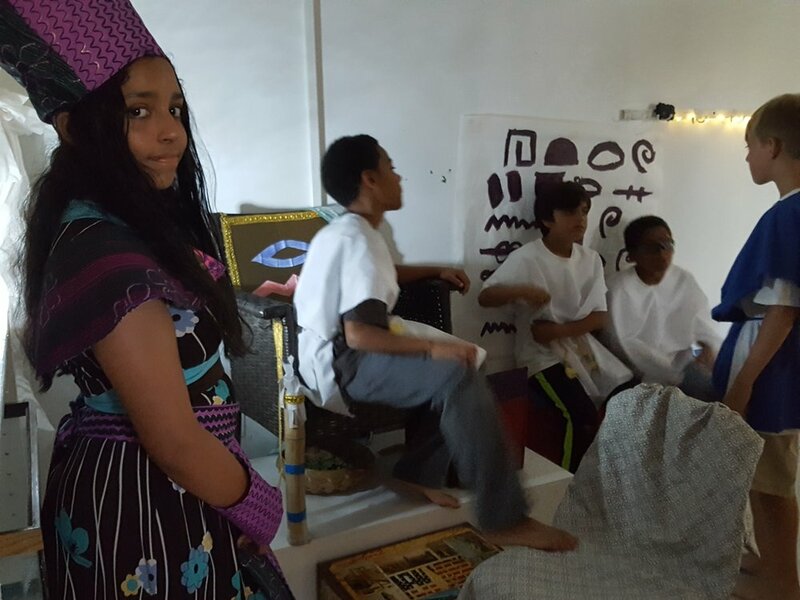 Brought to life by students of Ms. Kate Ludick, Upper Elementary Directress, the museum featured the Nile, pyramids, a market, an art and architecture display and of course various signature people such as pharaoh, Cleopatra and King Tutankhuman. The Egyptian Museum was the culminating event in a Montessori three period lesson. “After various small group lessons children determine what their interests are and begin doing research” says Ludick. 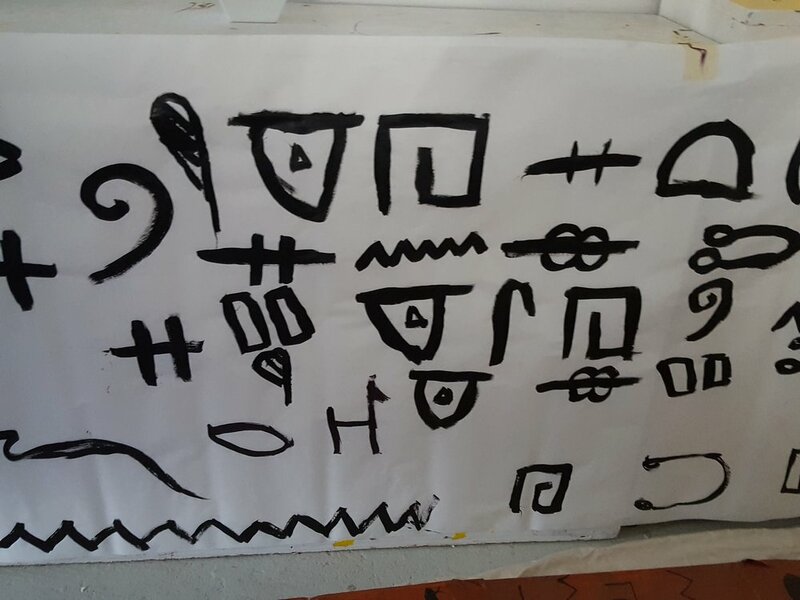 The third and final part is the assessment or a test –in this case the Egyptian Museum- to prove the child’s full understanding on the topic and ensure they have a firm grasp. Students were required to put together the museum and build up one section based on their likes and interest including various skills such as mathematics, writing and reading. Once students have integrated their skills with their interest, they prepare a presentation for their peer groups, parents and other adults.